It is probably true when W.B. Bartlett asserts that British people are only conscious of having been invaded successfully twice. Once in AD 44, the second in 1066. However in the winter of 1016 after many years of war a foreigner was crowned King of England by right of conquest. His name was Cnut. As it turns out the seeds of the Norman conquest of England were sown nearly 60 or more years beforehand. Kings taking thrones by force, the distancing of the English church from Rome, early ties between the Saxon kingdom to Normandy all had their genesis during the lifetime of one of England’s great forgotten kings. The legacy of the collective Scandinavian presence in Britain, of which he was part, is still with us to this day. This was a time of strong men, who had the surnames to prove it. Although after the reign of Alfred, Saxon England flourished under kings like Æthlestan an Edgar, by the late 10th century she was once more being ravaged by foreign raiders. It fell to the famously unready hands of King Æthelred to defend the kingdom, but though he wasn’t the moron of legend, the best he managed to do was to institute what became known as Danegeld. Yet eventually his arch enemy Sweyn Forkbeard toppled him and sent him into Norman exile, and when Sweyn died, their sons, Edmund Ironside and Cnut engaged in a duel to the death for the English throne. In an age defined by names and deeds, it is striking to observe what people are known for at a distance of almost 1,000 years. Alfred is popularly remembered as the chap who burnt his cakes, Æthelred was unready, (though few people know why,) Harold Godwinson is remembered for a possibly apocryphal arrow in the eye at Hastings and King Cnut is remembered for getting his feet wet after the sea ignored him. Whole lifetimes defined by single images, yet each of them lived larger than life. Cnut was England’s first Danish King, a Viking. A term which could just be translated to “Baymen”. A man of piety, cunning, cruelty and ruthlessness. That Cnut came out on top was never a given, as Bartlett convincingly shows, Cnut was not a gifted strategist, though he was courageous and wise, his military record leaves much to be desired. He appears from these pages a much more statesmanlike figure, bent on ruling a northern Christian empire, and woe betide the man who stepped in his way. 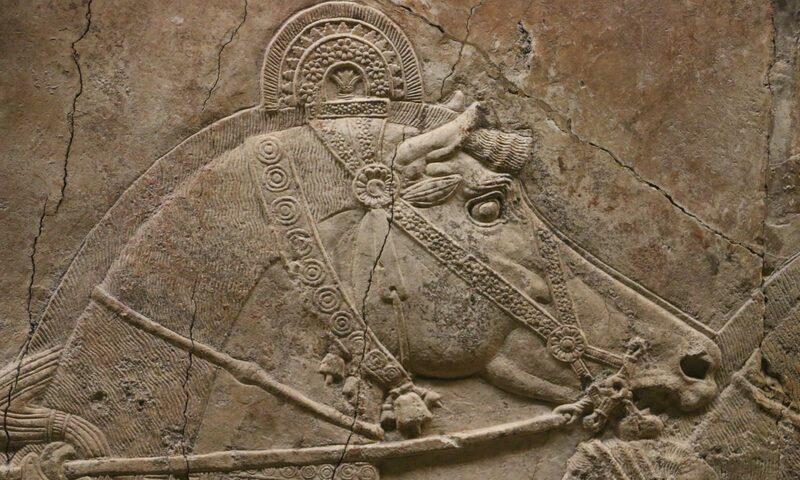 For Cnut’s path to the throne was littered with the assassinated bodies of those who had opposed him. There is indeed something almost Machiavellian about how many foes or obstacles met their end shortly after angering Cnut, and yet concrete evidence implicating the King is always scarce. Not only is it a fascinating glimpse at this legendary king, but it provides a look at pre Norman conquest England. When Cnut was born in Denmark, England was attempting to create a stable unified kingdom, while resisting the encroachments of what they called “Danes”, which is shorthand for Scandinavians, better known as Vikings, but in terms of Cnut, it does actually refer to Denmark. This was no easy prospect for “Saxon England” as it is termed to differentiate the Germanic-Celtic hybrid from the previous Romano-Celtic model. In a way it could be argued that the Danish conquest was a natural progression. England was fractured by geography, north from south, and by religion. Christianity was now approaching a settled state in the country, but the old ways died hard. Paganism was still common on a basic level and a homogenous blend of new faith and old carried on in an uneasy partnership common when one religion replaces another. The Saxons would retain their pagan flirtations right down to the Norman conquest. The same was true of Scandinavia, in Denmark, Norway and Sweden Christianity was newer still. Most of the Kings of these kingdoms were new converts, and were founding churches and cozying up to the Pope, which gave legitimacy to a ruler and greater influence over his people, while the King could give protection to the church. These kingdoms, whose economies had been reliant for centuries on raiding each other, England and France, and selling their swords to the east, would be slower still to adopt to the ways of peace, which in the 10th and 11th centuries wasn’t always that peaceful. England became so destabilised by its own backbiting and Viking incursions that the Danes eventually decided to take the whole place, which was achieved by Forkbeard, and then again with the death of Ironside. Cnut was a hard man, and it took time for him to become accepted in England, and indeed his status as a foreign invader never really left him. Yet what did occur in his reign was a sort of settlement. Every Saxon succession had been met with some kind of strife, and though the trend would continue, it would no longer involve open warfare. Viking invasions became much less of a problem, not only did Cnut prove quite adept at defeating raiders, but he also attempted a conquest of Denmark and Norway, so as to unite the countries in a sort of Northern empire. As such, apart from the usual political scheming and dodgy deeds that had always been a part of Saxon politics, England was able to enjoy a decade of prosperity quite opposed to the hard times of Æthelred’s reign. After his ascension, Cnut was quick to appoint friends to important positions, but unlike William of Normandy, he looked for loyal Saxons to help him rule, while at the same time appointing his countrymen. More often than not however he ended up having to do away with most of them, for Saxons and Danes had a common inclination to plotting. By the end of his reign his most powerful supporters were the Saxon Earls of Mercia and Wessex, the latter a venomous wheeler dealer named Godwin. A master of realpolitik and assassinations, he would go on to play a large part in English history. Cnut bolstered his conquest by throwing himself behind the church, making alliances with Normandy, attempting to exert his rule over Scandinavia and forcing King Malcom of Scotland to become a vassal. What he failed to do was provide a stable line of succession. According to laws printed in his own lifetime, to have a wife in what the Saxons called “The Danish fashion” IE without the blessing of the church, and with the option of taking more, was illegal. Highly ironic for a Dane who had such a wife, but who for the rest of his reign had sons with an official wife, none other than the former spouse of Æthelred, the Norman Queen Emma, aunt of the Duke of Normandy and mother of Edward the Confessor from the union with the unready ruler. When Cnut died his senior Danish-Norman sons obligingly also passed away in quick succession, leaving the throne essentially vacant for Edward the Confessor. By this time the fabric of England had changed. It was no longer just Anglo Saxon, it was Anglo-Saxon-Dane. The Future King Harold II, he of the arrow at Hastings, and his brother’s were sons of Earl Godwin, whose wife was a Dane. Scandinavian names remain high in charters of English royal documents well into the Confessors reign. The English scene had changed even more since the days of Alfred and even before Edward’s attachment to Normandy, through his mother Emma and his several long exiles there, brought about early Norman influence in the south. I think the author somewhat underestimates the time it took for the Normans to conquer England. Yet he can be forgiven for assuming the game was up at Hastings, where the majority of English (And indeed Danish) royal blood was spilt and the old order perished. But it would be more accurate to say that loyal English, continued resistance to Norman rule well into the 1070s. And it is so instructive as to mindset of these people, that after losing their King, they looked across the North Sea for salvation. And indeed it is so ironic that the mighty conquerer of Hastings was forced to resort to the tactics of the reviled Æthelred and offer a Danegeld to save his new realm from disaster, only a few years after winning the throne of England. That William was able to legitimise this owes a great deal to Cnut’s reign and the legacy of the conquest of 1016. When he came to the throne, Cnut’s legitimacy came from his father Sweyn, who had taken Æthelred’s kingdom with the sword. Thus essentially reducing the contest down to trial by combat, with the winner obviously being God’s chosen king. So long as the claimant was a prince and even then that wasn’t so much an obstacle so long as the claimant was powerful (Godwinson being a case in point), it didn’t matter whether he was first son, second son or even originally English. Indeed after the Confessor died, the original line of Saxon kings, that of the house of Cerdic died out, to be replaced by the short lived Godwinson dynasty. The story curves from the dark days of Maldon, filling in backstory as we go, how the initial period of Danish conquest, the Danelaw, of the North had been washed away by Saxon paragons such as Alfred, Edgar and Edward the Martyr. So in many ways the wars of Sweyn and his son Cnut were a reconquest more than anything else. Striking in through the long conflict with Æthelred and Ironside, and by the time we are half way through the book we start getting to grips properly with Cnut, largely through the records preserved by the many churches he was patron of. A giant sweep of history that crashes out of the dark ages into the limelight. Taking all of this into account, how should we view Cnut? His reign was inflicted upon England, whose people never really warmed to him. When he was gone they missed the stability he had brought, yet it would not be until a later century that people would consider him a great King. His masterful reorganisation of the nobility ensured that both English and Dane alike respected him and kept the peace during his lifetime. Yet his was a shortsighted reign. This was through no fault of his, as both his chosen sons died in their twenties and he also expired prematurely, but his statutes were only worth something when he was there to rule. 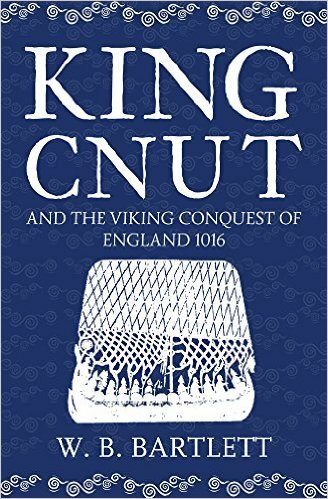 Nevertheless this does, as the author points out, rank Cnut as indeed a Great King, for his own presence was what made things work and his success in achieving what no other “Viking” could, the total conquest of England, signals him out as someone to remember. Not least because he sought not to replace but to integrate, which had always been a stable of Scandinavian colonisation. Cnut stands aside from the other Vikings in history. He was an example of the power of a Christian King to the Scandinavian Rulers who followed him. He did not quite come to steal kill and destroy, he came to rule, and this he did. Hardly the foreign enemy of fable that many would generally ascribe to a Viking King. There is a particularly adroit passage concerning Skald poets towards the end of the book. By which time the stoic Cnut has emerged as a pious, cunning, generous and cruel man in fairly equal measure. Whose worth as a King was during his own lifetime and then as a beacon to much later generations looking back. The line runs that the skalds “…made the lives of those who were dead to live once more”. I think that is a fair epithet for this biography of England’s great Scandinavian King. A life long greyed and dead, brought to life again.